ZANU-PF Manicaland provincial chairman, Michael Madiro has dismissed as baseless reports that money, which was sourced for Oppah Muchinguri-Kashiri's celebrations for her elevation to the position of national chairman for the ruling party was stolen. Briefing the provincial executive committee members during a meeting held in Mutare last week, Madiro said all the money was accounted for and the celebrations were held. The allegations came after Muchinguri-Kashiri expressed disappointment at people who were said to have stolen the money during the celebrations held at Mutasa RDC premises. "The truth of the matter is that there are two sides of the story. We agreed here that were going to have a rally for President's campaign in Hauna. We then assigned the leadership including our political commissar (Gift Kagweda) to go and set up a fundraising team in Mutasa. We set up a resource mobilisation team. We were told that $97 000 in cash or kind was raised for the event and we thanked the team," he said. Madiro said he later learnt from the provincial administrator, Mr Edgars Seenza that part of the money was stolen while in a safe in Mutasa. He said he demanded a report on how the money was stolen. "I said give us a proper report because the money was in the custody of a Government official. I asked if the money was not in a temporal deposit account because Government financial systems say no money will be kept physically in cash if it will be used at a later date. It is expected to be deposited into a temporary deposit account where it will be withdrawn when necessary. We took a resolution that the matter be taken to police. As we speak there is no official position regarding the money and there is no report on what happened. I was told $65 000, which was in safe disappeared with one Sithole. We condemn theft and the bosses have a right to complain about the stolen money," he said. Madiro said the $32 000, which was raised towards Muchinguri-Kashiri's celebrations was split between four districts where President Mnangagwa was set to visit. He said as the leadership they agreed to hold the celebrations after the President had addressed people. "The money was not stolen. We decided that we celebrate her elevation since Manicaland was also elevated. We resolved to thank President for appointing one of our own and representatives that included Chinamasa, Mutsvangwa, Mushohwe and myself were tasked to meet President. We approached the President and asked if he could be the guest at the celebrations. Unfortunately, we were not given the opportunity but we did not stop organising the event and we decided to take the celebrations to Hauna. We agreed that President would address people and after his departure we would celebrate Muchinguri-Kashiri's elevation. We also agreed that no beer was to be served to people and they would only drink after President had left," he said. Madiro said a fundraising team led by William Mutomba raised $32 000 and since the President was visiting four places, they decided to divide it among the four districts. "From the $32 000 raised each centre was allocated $8 000 and we did that exactly. The money was meant for celebrations. People from Buhera can confirm and they hired a band from Harare and people spend a night celebrating while in Mutare people did the same. People who claim and allege that the money was stolen are ill-informed. 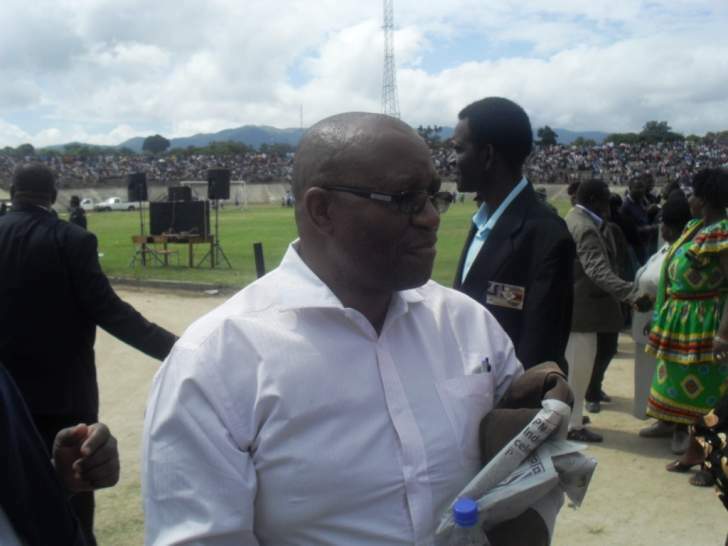 For the remaining $16 000 for Chipinge and Hauna, management and the fundraising committee concurred that it would be embarrassing for President ED to come to Aerodrome and find a few people gathered for the celebrations. The remaining money was used to resource the Aerodrome event and mobilising people. Everything is in black and white," he said.